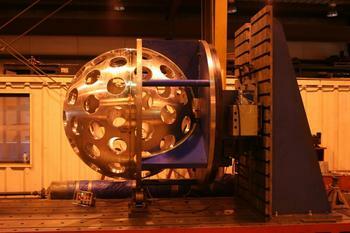 MiniCLEAN Inner Vessel becomes a sphere! 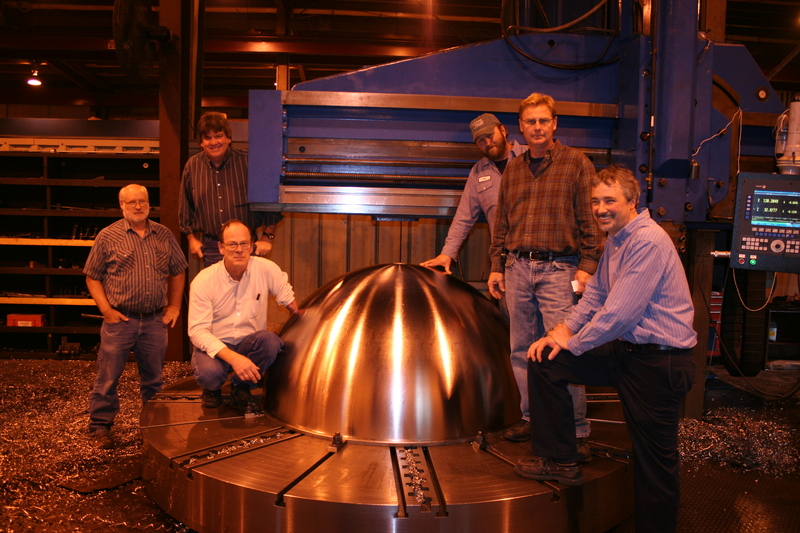 This week the MiniCLEAN Inner Vessel hemispheres were precisely welded into a single sphere at Winchester Precision Technologies (WPT) located in Winchester, NH. 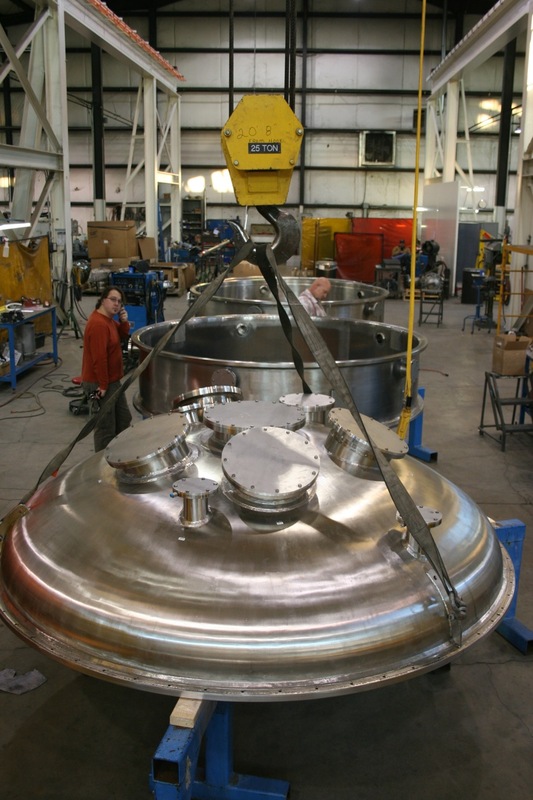 The sphere is 64" in diameter and has 92 carefully machined ports that will be used to insert the detector's photomultiplier tubes to detect the light from the liquid argon contained inside. WPT has also been machining the spool pieces that will bolted onto the ports. The next step will be the final precise machining of the ports, seals and bolt holes. 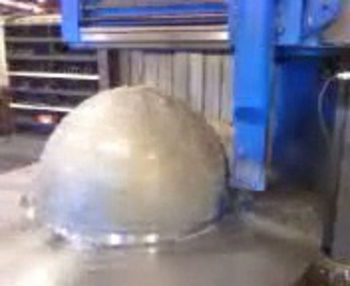 Then the sphere will be electropolished and prepped for vacuum and pressure testing. 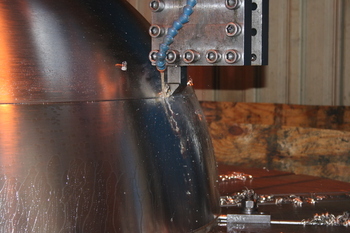 Side view of MiniCLEAN inner vessel on fixture. Group photo in front of the inner vessel. 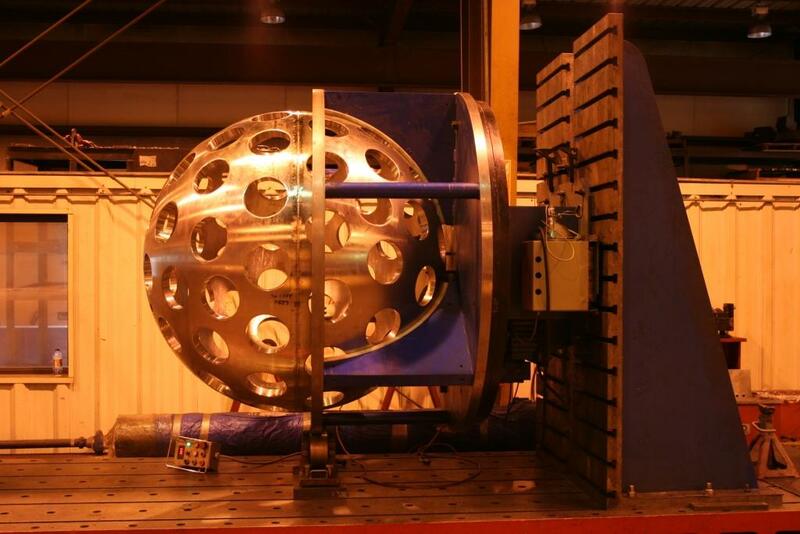 As part of the thorough review of the DEAP-3600 and MiniCLEAN experiments, a first round of safety reviews were held in late March and early April to evaluate the physical design, construction and integrity of both experiments as they prepare to begin assembly underground at SNOLAB. The reviews are the first of several for the experiments to ensure that all aspects of safety have been addressed. 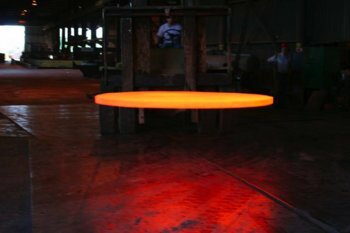 A number of SNOLAB personnel and several outside reviewers participated in the reviews including Dr. Robert Brewer (SNS-Lavalin, Inc.), Mr. Del Allspach (FermiLab), Dr. Rick Gaitskell (Brown Univ. ), and Dr. Andrew Miller (TRIUMF). Recommendations from this first set of reviews will be addressed and answered for a second set of reviews that will further examine the experimental subsystems and continuing designs. 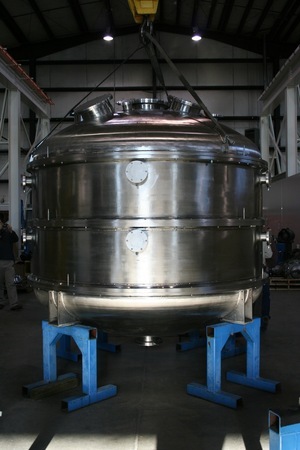 SNOLAB has completed the assembly of the MiniCLEAN water shield tank in the Cube Hall. 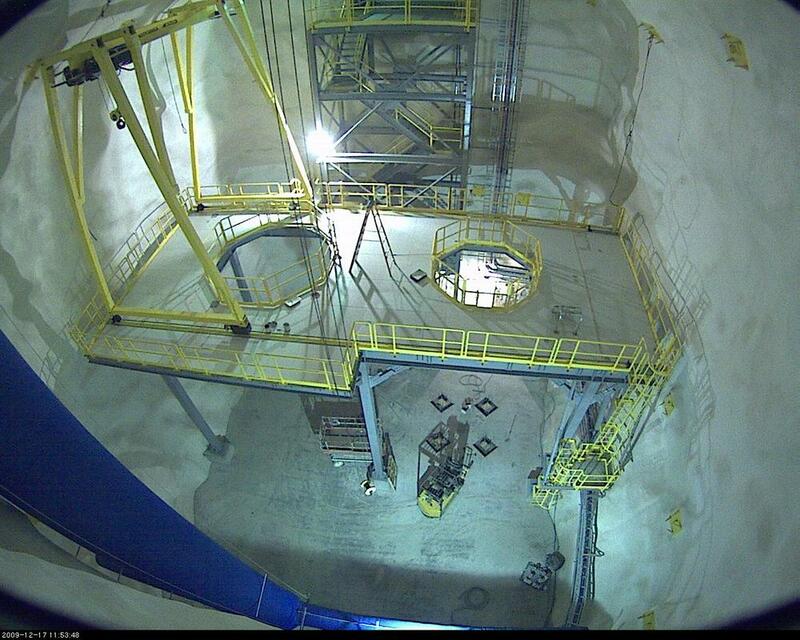 This tank is 18' in diameter and 25' tall and will be filled with water to moderate neutron and gamma backgrounds. It will also serve as a cosmic-ray muon veto once outfitted with 48 photomultiplier tubes. 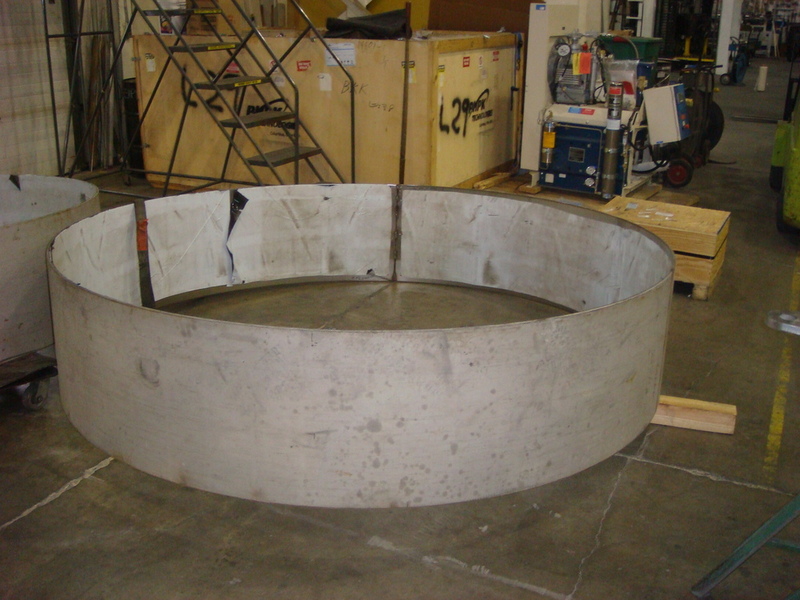 A second, larger tank is being assembled in the Cube Hall for the DEAP-3600 experiment for similar shielding. 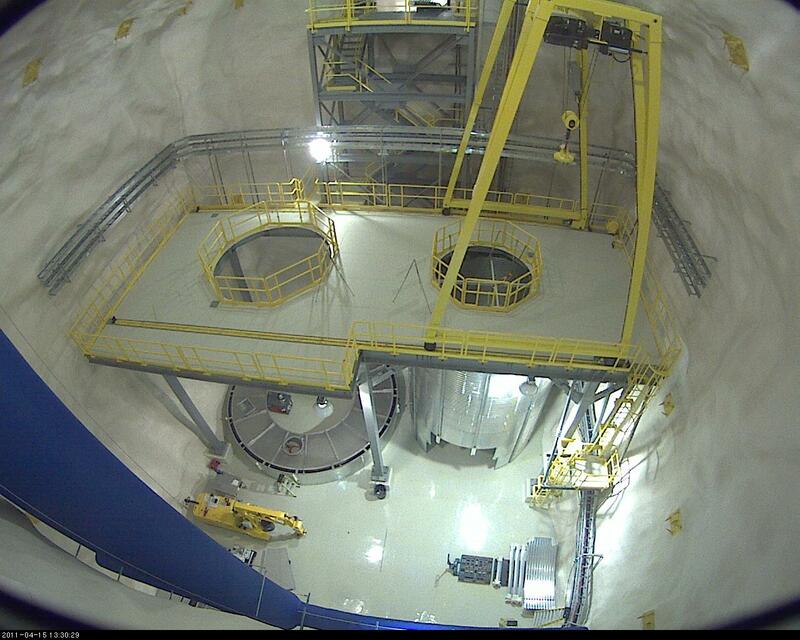 Once the detectors are installed in the tanks, liners will be unrolled to contain the water. 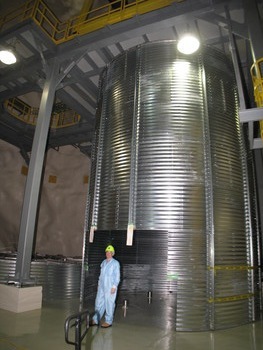 SNOLAB Director Nigel Smith stands in front of the completed MiniCLEAN water shield tank. A fish-eye view of the SNOLAB Cube Hall that will be home to MiniCLEAN and DEAP-3600 (taken April 15, 2011). 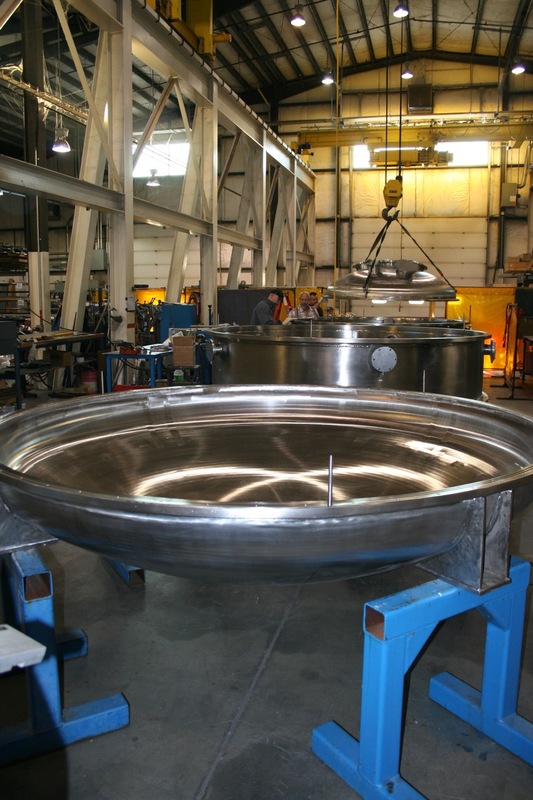 This week, the precision machining of the MiniCLEAN Inner Vessel started at Winchester Precision Technologies (WPT) located in Winchester, NH. 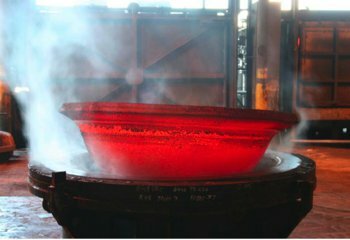 This first step involves machining the outer diameter of the two stainless steel hemispheres to a precise size. Several passes were made on a large vertical turret lathe to slowly reach the required diameter to ensure that sufficient material was available on the hemispheres. Between each pass a Faro arm was used to measure the exact diameter and an ultrasonic device was used to measure the thickness of the hemisphere. 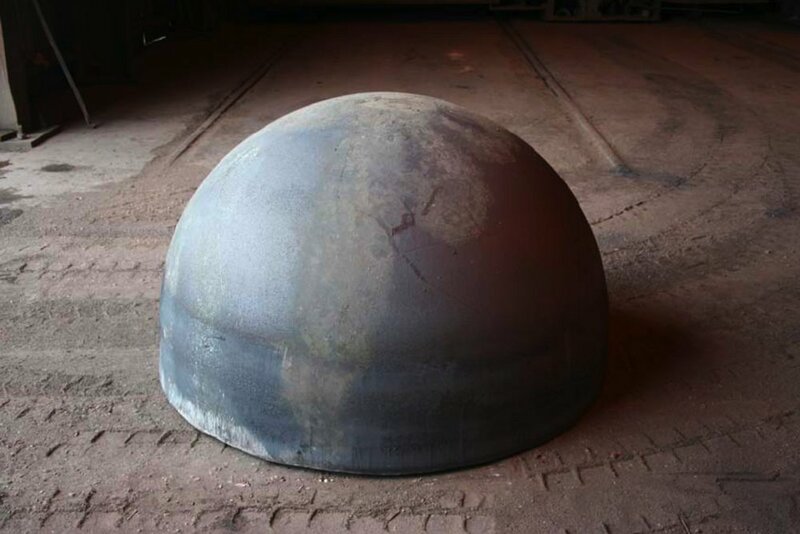 In the coming weeks, the inner diameter of the hemispheres will also be machined and then work will begin on precisely cutting the 92 large ports in the hemispheres. Close up of cutting the inner vessel hemisphere. Inner vessel hemisphere on fixture. Video of IV cutting process (click to view). Fabrication of the outer vessel of the MiniCLEAN experiment has been completed by PHPK Technologies. 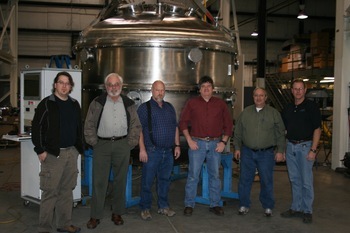 LANL and Yale staff were in Columbus, OH, this week to inspect the vessel and perform acceptance testing. The outer vessel will be shipped to SNOLAB, disassembled, and reassembled underground in late 2010. Outer vessel top dome (closest to camera) and cylindrical sections. 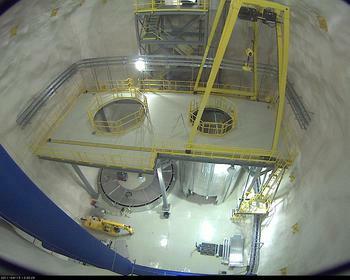 Outer vessel bottom dome (closest to camera), cylindrical sections, and top dome (on crane). 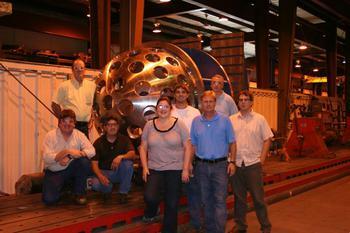 Yale, LANL, and PHPK inspection team group photo in front of outer vessel. SNOLAB has been working on preparing the Cube Hall underground for occupancy by the MiniCLEAN experiment in late 2010 and the DEAP-3600 experiment in 2011. The deck will provide access to the top of the detectors for deployment of calibration sources and maintenance of electronics and support systems. In addition, the deck will mechanically support the DEAP-3600 acrylic vessel. 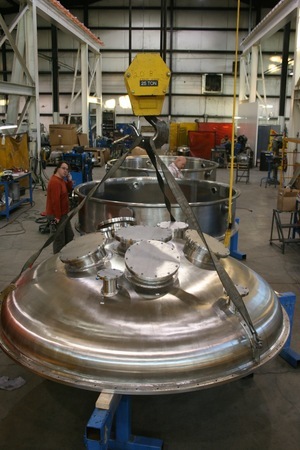 Trinity Heads, Inc has pressed the two steel hemispheres that will form the inner vessel of MiniCLEAN, which will enclose the liquid cryogen. 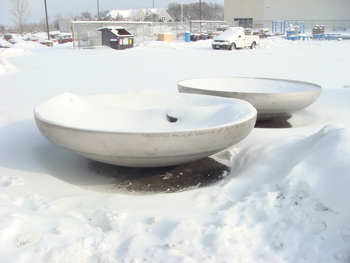 The hemispheres will be welded and machined by another vendor in early 2010, and shipped to SNOLAB in late 2010. 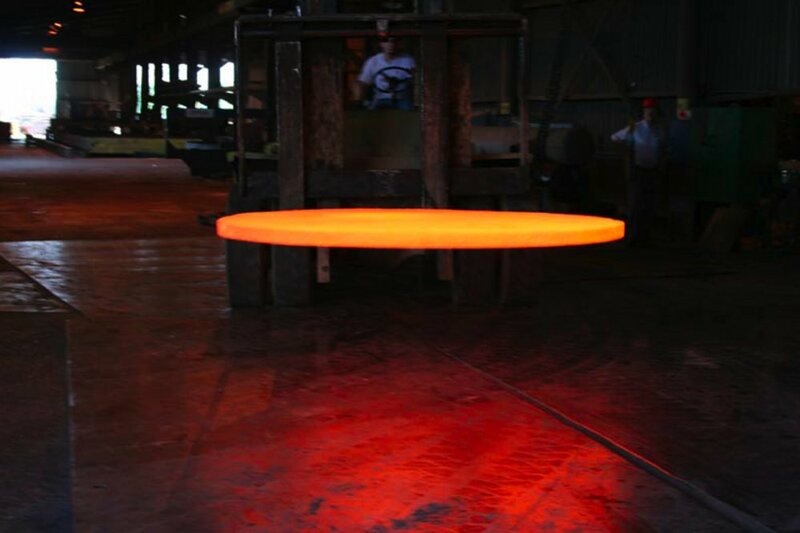 Heated stainless steel blank before pressing. Hemisphere after two rounds of pressing. 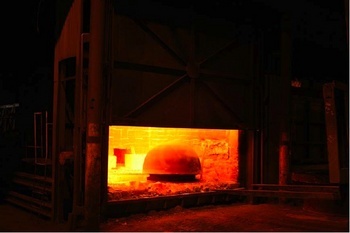 Hemisphere in furnace after third round of pressing. The Canada Foundation for Innovation (CFI) has awarded $10.5M to the the SNO+ and DEAP-3600 experiments. The DEAP-3600 experiment will be a tonne-scale liquid argon detector situated next to the MiniCLEAN detector at SNOLAB. More information can be found in the CFI announcement and Queen's University press release. 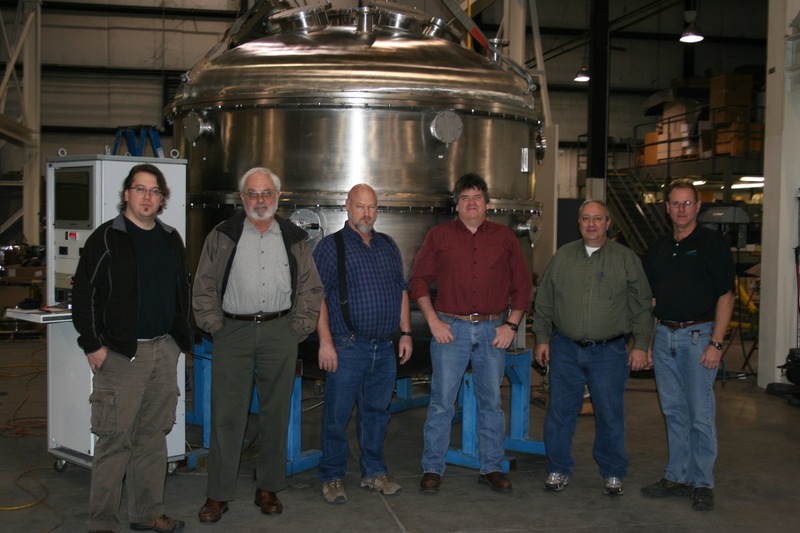 The DEAP/CLEAN collaboration has been working with PHPK Technologies of Columbus, OH in fabricating the Outer Vessel for the MiniCLEAN experiment. The Outer Vessel (OV) surrounds the Inner Vessel and operates with a vacuum inside to thermally insulate the Inner Vessel which contains the cryogenic liquid. 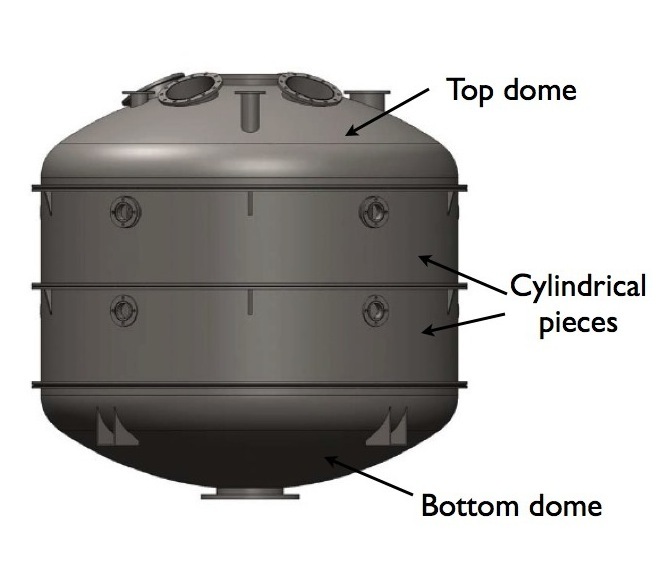 The OV is composed of four major parts: the top dome, the two middle cylindrical pieces and the bottom dome. A number of ports in the OV allow for various connections to the Inner Vessel though the OV. The OV will be surrounded by water to shield the experiment from particles coming from the surrounding rock. 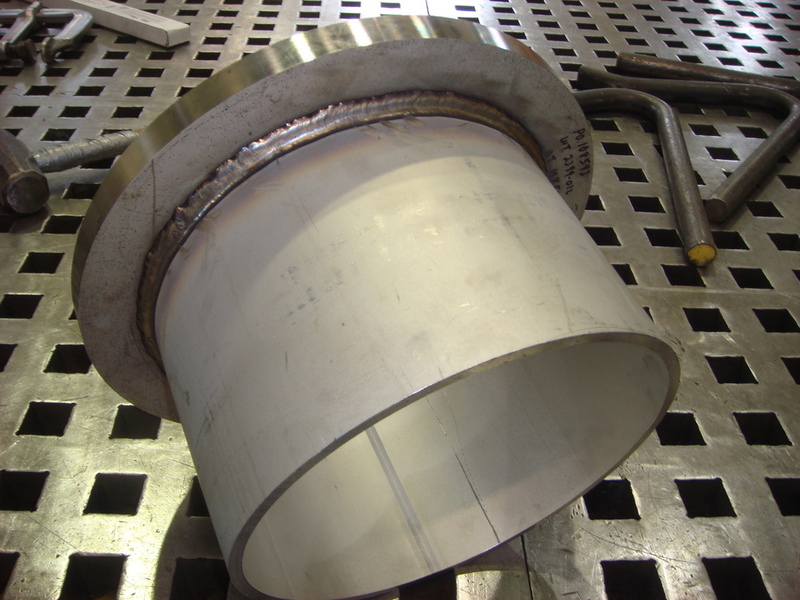 Currently, PHPK is beginning to weld the flanges to the cylinders and domes and will soon add the various ports to the pieces. The vessel is scheduled to be delivered to SNOLAB, in Sudbury, Canada, in May 2009. Diagram of MiniCLEAN outer vessel. Cylindrical center section of outer vessel. Top and bottom dome after a heavy snow.